Smoothies Vs. Juices – Which should you be drinking? If you want an easy way to get more nutrients in your diet, drinking smoothies and juices is a fantastic choice. But there are a few differences between the two so keep on reading to find out which method will work the best with your health goals, taste, and lifestyle. So, what’s the difference between juices and smoothies? 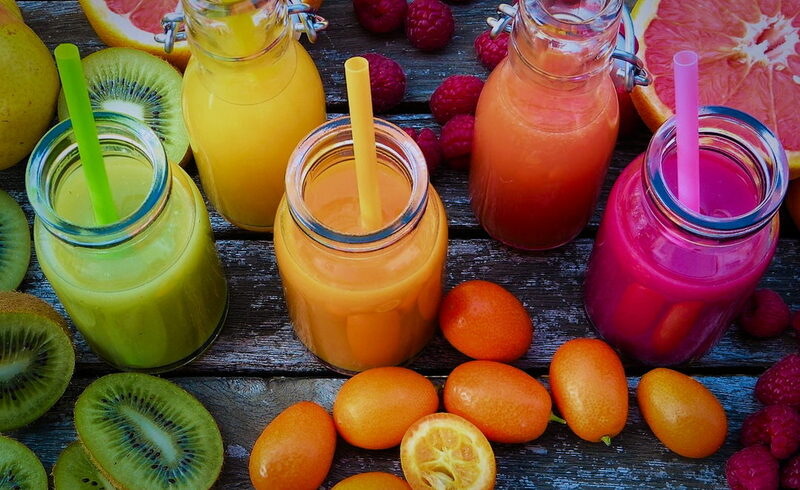 Simply put, juices are juiced, and smoothies are blended. So what’s the difference between juicing and blending? When juicing, nutrients and liquids are extracted from the fruits and veggies, while the pulp is separated. Juicing leaves you with just, well, the juice! Since the pulp is removed, you need to juice a lot more fruits and veggies than you would generally put in a smoothie. This makes juice more nutrient-dense than smoothies due to the higher amount of fruits and veggies needed. When blending, all the elements of the fruits and veggies remain. The pulp is blended in with the juices and remains a part of the final product. The pulp of fruits and veggies is mostly fiber, which is great for your digestive system! 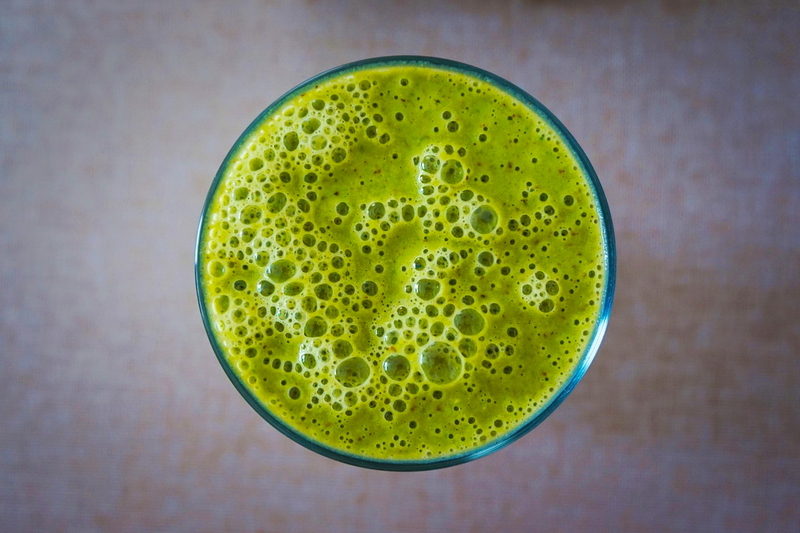 The fibrous pulp remains in the smoothie, which keeps you feeling full and satisfied, as well as providing a slow release of the nutrients as your body works to digest the smoothie. So the main difference really has to do with the pulp! The pulp is made up of the fiber from the fruits and vegetables. Fiber is an important element to our diets because it carries the nutrients through our digestive system, allowing for a slow and steady release of nutrients into our bloodstream. Fiber also keeps us feeling full and aids with regular bowel movements. Another significant difference is the sugar and nutrient density of juice. When juicing, you have to juice more fruits and vegetables than you would generally eat in one serving to produce a small amount of juice. Depending on which fruits you are juicing, you can wind up with a juice that is very high in naturally-occurring sugars. Since the juice has no fiber to slow down the digestive process, the sugar in the juice hits your bloodstream much more quickly than eating a regular fruit would. This can cause spikes in blood sugar, which can lead to a “sugar crash” as well as the side effects of fatigue, headaches, and irritability. As far as we’re concerned, making juice and making smoothies are both super fun and great methods for giving your body the plant-based nutrients it craves! There is no right or wrong one to consume, and both have pros and cons worth taking note of. So it all boils down to lifestyle, taste, and mindfulness. Use this knowledge wisely (and creatively!) to aid your ever-evolving healthy lifestyle. As you reflect on your health goals, keep in mind the pros and cons of both making juice and making smoothies, and incorporate BOTH into your meal plans. 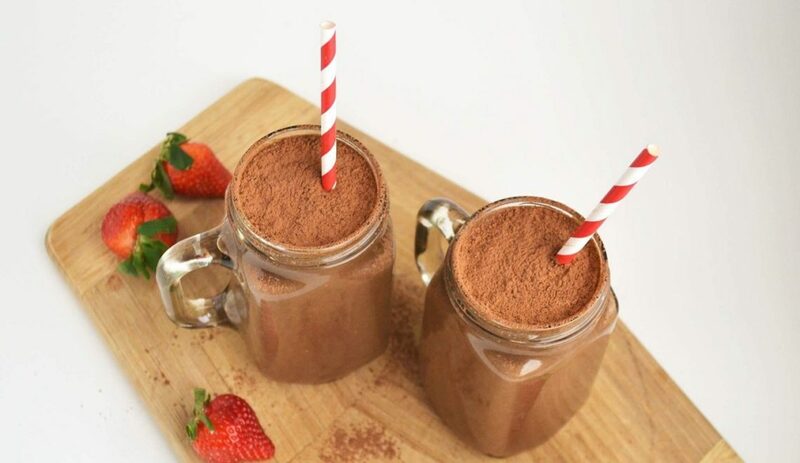 Replace a meal with a smoothie once a day, make sure it has protein, fiber, and nutrients! 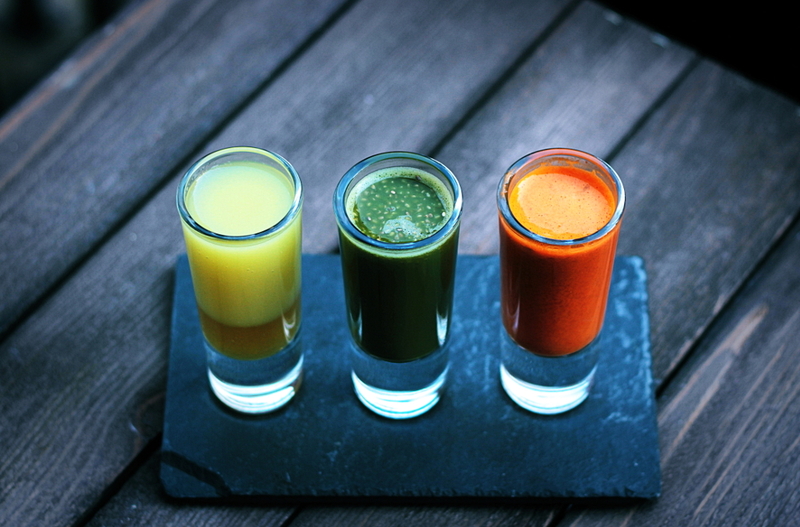 Instead of downing a whole glass of juice (which can lead to blood sugar spikes), make small juice shots to have with a meal that contains healthy fats and fiber to aid absorption of the nutrients in the juice shot. 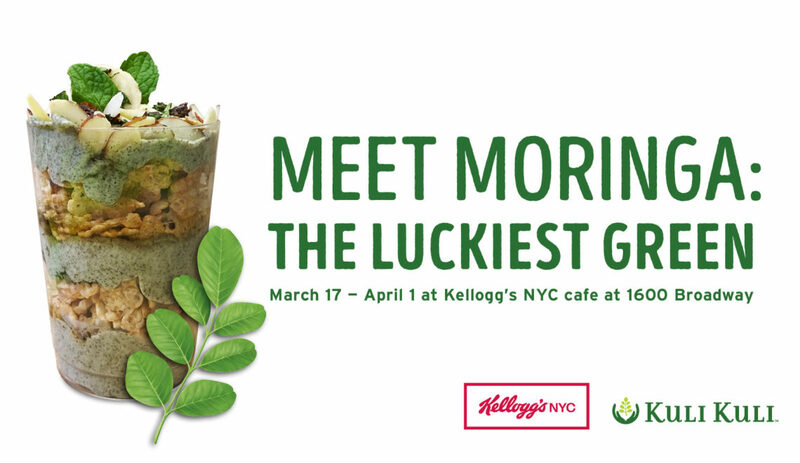 Need some moringa inspiration? Check out these recipes below! We hope this article was helpful and informative for you! Do you have any favorite juicing/smoothie recipes? Leave them in the comments below! 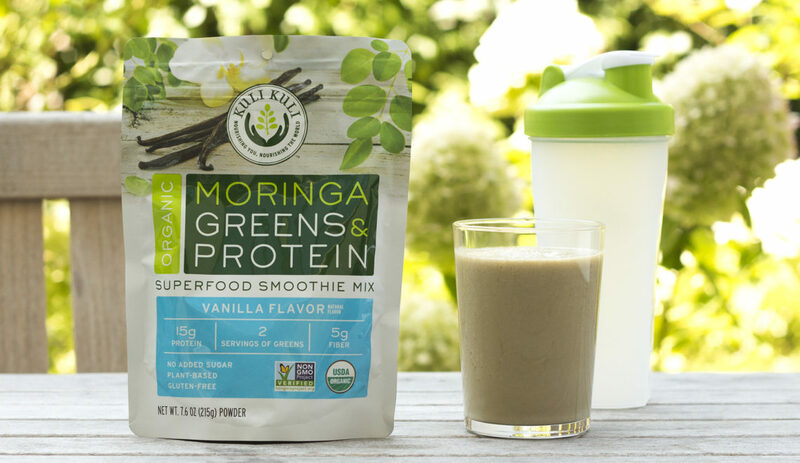 Also, if you try any of the smoothie recipes above, post a pic on Instagram and tag #kulikuli and #moringainspired. We can’t wait to see your delicious creations! We’re also curious if any of our readers who have access to fresh moringa ever juice it! What do you juice moringa with?! Let us know in the comments! Can I combine beet root powder with Moringa powder? Yes, moringa can be combined with other foods just as any other vegetable would!